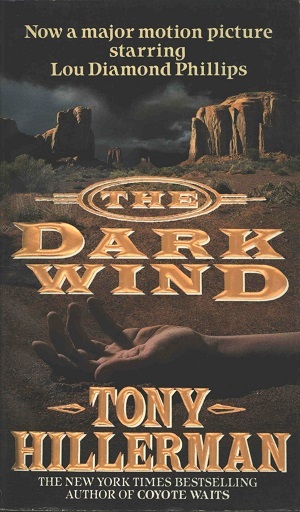 This is the third edition of The Dark Wind published by Harper Paperbacks, a trademark of Harper and Collins Publishing. This version was created as a movie tie-in for the 1991 Robert Redford film by the same name. The cover of the book is also the movie poster and was designed by Peter Thorpe. Format: Paperback, 17.2 x 10.4 cm. Binding: Paper cover with full-color graphics on the front and back covers. The publisher's device is printed horizontally on the spine, and the title and author are embossed vertically on the spine in gold.